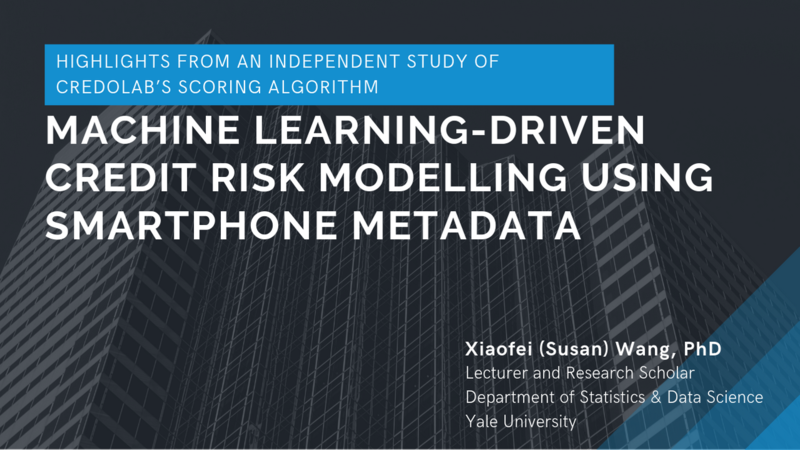 ". . .the overarching framework of data splitting, feature selection, model tuning, and overall assessment is statistically sound." Thank you! Your submission has been received and we will send you your copy shortly. CredoLab is at the forefront of innovative risk management practices that engage with novel credit risk modelling approaches availed by the surge in cell phone use. Core to CredoLab’s business is its modelling pipeline. Taking the smartphone as input, the data processing pipeline consists of a series of automated steps, rooted in machine learning techniques, that ultimately outputs a predictive model for credit default. To protect the confidentiality and to ensure against bias towards individual loan customers, only non-identifying metadata is used. In this e-book, we first explore the data sets that CredoLab consumes, how it translates it into scores, and the outcome it serves. In the latter part of the paper, we take a look at how CredoLab’s algorithm fared when compared to that of other major players with similar scoring models. Born in Nanjing, China, Dr. Wang moved to the USA at an early age and has been associated with some of the leading institutions. She did her bachelors from the University of California and her PhD in Statistics from Yale University. She currently holds esteemed positions at a number of associations and works at Yale University as a lecturer and research scholar. She has a number of publications and accolades to her credit.